All hail the King! With the next confirmation we will probably increase the heart rate of not just all old school fans among our patrons, because KING DIAMOND have announced they are paying us a visit! The cult group led by its namesake and Mercyful Fate mastermind not only deeply influenced countless bands, but remain absolutely unique until today. With their old school metal, their theatrics and, last but not least, the insane voice of the King himself, the band has set standards with their shows that are second to none. 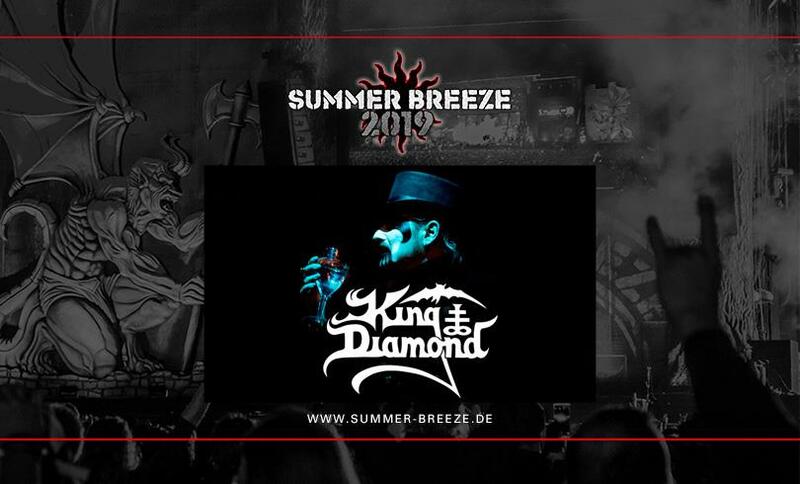 And since his majesty the King and his court aren't often seen in Germany, we are all the more stoked that the band will make an appearance at SUMMER BREEZE 2019. Don't. Miss. This!